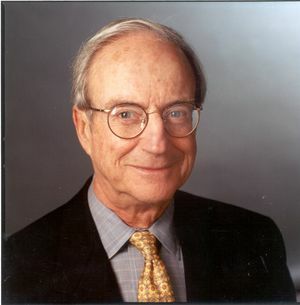 Benjamin M. Rosen has helped to shape the modem computer industry through his mentoring, guidance and financing of young and innovative technology companies. Mr. Rosen has invested in dozens of start-up technology companies over the last 18 years including Compaq Computer, Lotus Development, Ciena, Citrix Systems, Cypress Semiconductor, Cyrix, Silicon Graphics, and Electronics Arts. Companies funded by Sevin Rosen Funds, his venture capital organization, have a collective market value in excess of $100 billion, and employ over 100,000 people. A founding member, current Chairman and Acting Chief Executive Officer of Compaq Computer Corporation, Mr. Rosen was instrumental in its early adoption of the open PC standard. Under his guidance, Compaq pioneered the manufacturing of PC "clones" and adopted Intel's 80386 microprocessor. He is also a director of Ask Jeeves, an Internet natural-language search engine company, and Capstone Turbine, developer of a microturbine standalone electrical power generator. Prior to founding Sevin Rosen Funds with S. I. Sevin in 1981, Mr. Rosen worked for 20 years on Wall Street, ending as a Vice President of Morgan Stanley and Co. He was voted the number one electronics analyst six years in a row by Institutional Investor magazine. Prior to that, in the late 1950s, he was an electronics engineer at Raytheon, and then Sperry Gyroscope. Benjamin M. Rosen was born in New Orleans, Louisiana, on 11 March 1933. He received a B.S. from the California Institute of Technology in 1954, an M.S. from Stanford University in 1955, and an M.B.A. from Columbia University Graduate School of Business in 1961. Mr. Rosen is the Vice Chairman of the Board of Trustees of the California Institute of Technology, a member of the Board of Overseers and the Board of Managers at Memorial Sloan-Kettering Cancer Center, a member of the Board of Directors of The New York Philharmonic, and a member of the Board of Overseers of the Columbia University Graduate School of Business. In 1992, Computerworld chose Mr. Rosen as one of 25 people "who changed the world" in the computer industry. Also in 1992, Computer Reseller News selected him as the best executive in the personal computer industry. The same magazine later featured Mr. Rosen as one of the "10 Legends of the PC Industry." Mr. Rosen was awarded the 1999 IEEE Founders Medal "For the support and nurturing leading to the creation of more than 80 leading electronics and computer firms, resulting in significant contributions to the engineering discipline, industry and society"
This page was last edited on 18 January 2016, at 21:39.